What if you could fit the entire DC Universe into your pocket? Now you can with the DC All Access app! Much like our webseries of the same name, the DC All Access app is dedicated to keeping you up on all of the latest from the world of DC Entertainment. Comics, movies, TV, games or products—the heroes and villains of DC are everywhere, and you’ll find it all here, with new content every day. In addition, the app allows you to profess your fandom in exciting new ways by giving you access to an exclusive DC emoji keyboard! This regularly-updated keyboard features a huge variety of characters and icons, including Batman, Superman, Suicide Squad and more. Once you’ve downloaded the app, you’ll be able to integrate the DC keyboard into your regular keyboard, allowing you to use the emojis in instant messages. Why send a smiley when you can send a Suicide Squad skull? 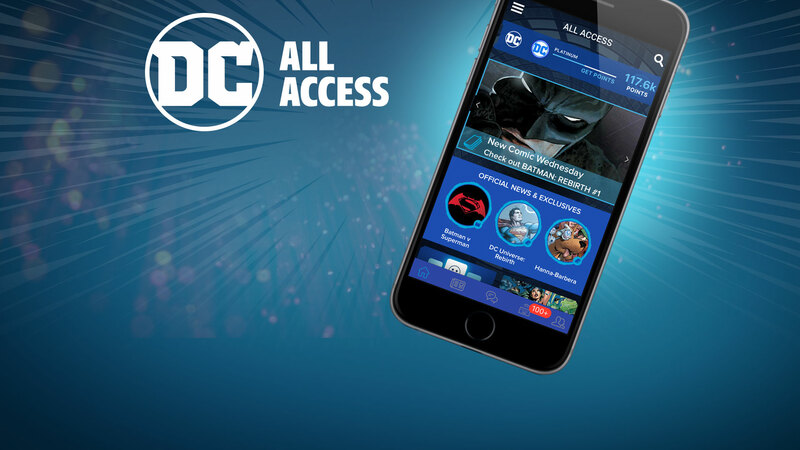 The DC All Access app is available for both Apple and Android devices, and you’ll find it in both the App Store and on Google Play. We’ll see you there!